Nearly all companies are relying on computer solutions and it means that they need to use effective software. Choosing the right software solutions can make a huge difference between having a smooth or chaotic business operations. Technology is currently considered as a key asset for any kind of business. Day to day operation could depend on whether apps can really deliver enough capability for users. Software solutions should be practical and easy to use. Productivity must be maximized and operating expenses should be kept low with the use of proper software. As an example, employees don’t need to manually monitor the inventory system, if an inventory management software can do that automatically. In this case, we should make sure that proper software solution should be able to meet the actual demands of our businesses. Many business tasks may require intensive effort and man-hours to complete. The use of proper software can speed up completion of tasks and reduce overall costs. The type of software we choose should depend on our available budget. If we have enough budget, we may choose somewhat expensive software solutions from Microsoft and Adobe. However, many smaller software developers have fully functional business software at much lower costs. For companies with large budget, they may even contract a software development service to create custom-made, proprietary software. For much smaller businesses, budget is often their first concern and it is important to make sure that they don’t purchase unnecessarily expensive software with plenty of features that they don’t need. It is more efficient to choose an affordable software with “just enough” features to cover their business operations. Once budget is set, small businesses may also negotiate for favorable payment arrangements. As an example, if the software needs to be installed on multiple devices, there should be discounts, so businesses don’t have to pay full prices for installation on all devices. In order to improve efficiency, it is important for business owners to determine their requirements. Cost reduction could start by identifying needs and requirements. Many software solutions may seem good to have, but they are not always necessary for our lines of work. It means that we should have proper decisions on what features that we need to have. Business owners should understand priorities and they need to make sure that processes can be properly examined. It should be relatively easy for business owners to chalk out their key requirements. Book-keeping and accounting are two mundane tasks that small businesses need to take care of. Mistakes and discrepancies may occur due to human errors, if more than a few manual tasks are included in both tasks. So, it is imperative to make sure that small businesses are able to efficiently track their finances. They should be able to do this without any kind of error. Accounting and book-keeping system may need to be fully centralized. Reports, expenses data and tax information will need to be pulled quickly. 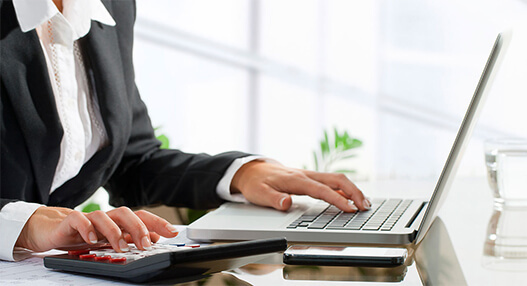 This can be achieved only if we have well-rated accounting software solutions. previous articleHow Flawed Marketing Mindset Could Slow Business Growth? next articleHow to Choose Proper Software for Small Businesses?